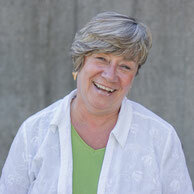 Jean has been a member of the PSED team for more than 30 years! She currently holds the title of PSED Administrative Director. Jean is a graduate of Emerson College. At Emerson she studied Theater Education and received her Elementary Education Certification. Jean has had a total of 40 years working with children, both as a teacher and as an administrator. Jean is the mother of 2 children. In her free time, Jean loves hiking, kayaking and walking her dog Cooper. She also loves to travel and has visited Aruba, Antigua, Cozumel and the Cayman Islands over the last several years. 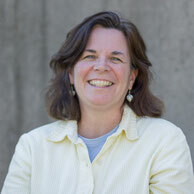 Ellen has been with our program for 20 years, as PSED Program Director. Ellen grew up in snowy Syracuse, New York and majored in English and Education at St. Bonaventure University in NY. She holds a Master’s Degree in Education and taught for many years at the COMPASS School in Jamaica Plain. She also directed an after school program in Dorchester before coming to PSED. Ellen and her husband JT live in Roslindale and are the parents of four sons ages 25, 24,13 and 11. In her free time, Ellen enjoys baking, traveling, reading and spending time with her friends and family.